Heavenly blog! : No 1620: Martin Luther struck 500th anniversary of his theses on church doors, and fought in the ban of the Catholic Church that they have not lifted. I have proclaimed to repent for preachers and priests are sinful and have been innocent judged! No 1620: Martin Luther struck 500th anniversary of his theses on church doors, and fought in the ban of the Catholic Church that they have not lifted. I have proclaimed to repent for preachers and priests are sinful and have been innocent judged! Martin Luther struck 500th anniversary of his theses on church doors, and fought in the ban of the Catholic Church that they have not lifted. I have proclaimed to repent for preachers and priests are sinful and have been innocent judged! 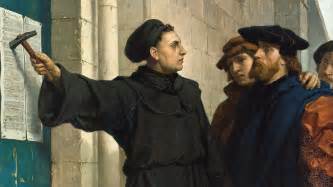 Martin Luther's 95 theses against the slaughter trade of 1517 challenged the Catholic Church's night world teaching and marks the start of Lutheran Reformation.The resistance was great, both for Luther and for me to keep the word of God!But the truth will always prevail - in the end! I have tried to show that the struggle I'm going through is nothing new.The Preacher 1. 9 What has been is what will be, and what has happened is what is going to happen, and there is nothing new under the sun. 10 Is there something that one would say: See, this is new - it has been a long time, in recent times that were before us.A selection of Martin Luther's 95 theses, 1517From the theologian Dr. Martin Luther's disputes to the disclosure of the importance of the offspring (1517)By love for the truth and eagerness to bring it to the day, the following sentences will be discussed in Wittenberg under the foresight of the Honorable Father Martin Luther, magisters in the free arts and in the Holy Theology and proper professor of theology as well. He asks that those who can not be present and discuss the matter with him will do so in writing. In the name of our Lord Jesus Christ. Amen.1. When our Lord and Master Jesus Christ says, "Do fine, etc." then he wants the whole life of the believers to be a cure.5. The Pope Verken may or will forgive other penalties than those he has sentenced in accordance with his or her provisions of the law of the church.8. The ecclesiastical crimes apply only to the living ones, you can not invoke them to impose the dead such culprits.11. To transform church punishment into carnival punishment is surely a cliff that was sown when the bishops slept.26. It is correct for the pope not to give the soul a condemnation by virtue of the keystroke1) (which he has not) but merely as a result of prayer.27. Those who say that the soul flies out of the shingles as soon as the money blows in the coffin, proclaims humanity.28. But surely, when the money blows in the coffin, people's haze sickness and gratitude increase. The prayer of the church, on the other hand, is alone in the hand of God.36. Any Christian who cares in vain for his sins, has full remission of punishment and guilt also without a letter of rescission.37. Any true Christian, whether he is alive or dead, has a share in all the benefits of Christ and the Church, even without a letter of resignation.38. However, the promise of the pope is not despised, for it is a preaching of divine divorce.41. But papal seed must be preached with caution, so that people should not be fooled to believe that leaving is worth more than other Christian love actions.42. One must inform the Christians that the pope does not believe that the purchase of seed can in any way be compared with mercy deeds.43. One must inform the Christians that the one who gives to the poor or the borrower to the needy, acts more properly than the buyer deserves.44. For love loves, love grows, and people get better, but by birth no man is better, just more free of punishment.45. One must inform the Christians that the one who sees a distressed and buyer despises without helping him, he does not achieve the pope's descent but the wrath of God.48. One must inform the Christians that when the pope divides out, he needs and rather desires a prayer than redeemed money.50. One must inform the Christians that if the pope knew of the moneypressing of the slaughterers, he would rather see the St. Peter's Church burned than built by his sheep's skin, flesh and bone.81. The rude preaching of aflat makes it difficult for even learned men to protect the pope's dignity against backslashes and close questions from laymen.82. As for example, why does the pope not move from the distress of the soul, which should be the least expensive for all reasons, to in his most holy mercy to save all from the shingles, since he still saves countless souls for the sake of some wretched money , money to build a church, which must be a bad reason?86. Likewise, why does not the Pope, who is richer than the richest Crassus, build St. Peter's church with his own money, instead of taking the money from the poor believers?91. If, therefore, the desert was proclaimed according to the spirit and meaning of the pope, one would easily be able to solve such questions, yes they would not be resurrected. Why "love" remarried preachers to speak against homosexuals when they themselves live in adultery? This is hypocrisy of the worst kind! Jan Aage Torp who will be Pastor and Apostle spoke and wrote against homosexuals in the worst terms (he said including homosexuality a cancer in society), exactly the same as in Jan Hanvold have done now in all the years to tell them a countless times that they are on their way contrary hell! This had not been so bad had they even had "rogue", something they have not when they live as adulterers, in sin and that God's word says adulterers !! Remarried preachers grisly when they shift from being smiling to be horrific! They can preach against sin, but even living in sin itself. Just as Torp, Hanvold and all other gjengiftede preachers do. This is my and many others' experience and experience and it is ugly and sickening! Never look at the Vision Norway or carry gjengiftede preachers to do. Do not lend your ear to them, no matter how myen "nice" they have to come by. It is like poison, demonic poison they have when they live in sin and you will share in this. Scripture is very clear here, it is as the sin of witchcraft as they live, they are like insurgents and rebels. To listen is better than the fat of rams. he has rejected you as king. " 1 Sam. 15. 22 And Samuel said, Hath the Lord as great delight in burnt offerings and sacrifices, as in obeying the LORD? Behold, to obey is better than sacrifice, and to heed than the fat of rams; 23 For rebellion is better than the sin of witchcraft, and stubbornness is as iniquity and idolatry. Because you have rejected the word, he has rejected you, so you should not be king. To be balanced preachers to be re-married is the sin of witchcraft! One is rebellious and want and do not want to conform to God's word, what does one do then? Taking themselves to facilitate and choose to live a life of sin. This is the rebel spirit against God and his word. To sit to listen to such preachers, it will taint your spiritual life and you will take part in this stubborn and rebellious spirit! We sing a song: "Will you Heaven, then you must go on the road that leads there"! They look so "neat", does so much good. But they are rebels and has not EVEN AFTER THE INNRETET WORD OF GOD! Therefore they spread spiritual death, you get part of their unclean and demonic spiritual life. You are even on apostasy way unless apostasy has already occurred! I asked the Lord what he thought and thought about Vision Norway and Jan Hanvold. Then I got a clear and simple answer, it was the following: "Vision Norway is a spiritual pigsty!". Pastor Jan Hanvold in with his 3rd and final preliminary wife as God's word is his whore woman and he is a whoremonger and simultaneously operates with heresy and manipulation in the name of Jesus, talk about hypocrisy and a wolf in sheep's clothing. The great whore (which arguably Vision Norway and much of the so-called Pentecostal \ Charismatic Christianity we see today is a part) has to do with a materialist, money greedily and selfish luxury and indulgence attitude. What scripture says about pleasure and wealth? This is to cultivate god of this world instead of being satisfied with what you have and get, so you can learn to be grateful of heart rather than waiting to get more, and empty require material blessings and abundance of "God." It's almost blasphemous and keep on like in our part of the world when the majority of people do not even get enough food for the day in other parts of the world. For Jesus it was no easy crossroads and death, but he has made it easy for us to come to the cross. It is enough for us, the rest will be up to the Lord to bless us in our desire. Jak.2,5: "Hearken, my beloved brethren, Hath not God chosen the poor of this world's goods, to be rich in faith and heirs of the kingdom which he hath promised to them that love him? 6 But ye have despised the poor. Is it not the rich who oppress you, and draw you before the courts? " Åp.18,1: Then I saw another angel coming down from heaven; he had great power, and the earth was illuminated with his glory, 2 and he cried with a strong voice, saying, Fallen, fallen is Babylon the great, and is become the habitation of devils, and the hold of every foul spirit, and a prison of every unclean and hated bird; 3 wrath of her fornication wine all nations have drunk, and the kings of the earth have committed fornication with her, and the merchants of the earth have become rich abundance of her delicacies. 4 And I heard another voice from heaven, saying, Come out of her, my people, that ye be not partakers of her sins, and lest you receive of her plagues! God calls Christians away from such a carousel of this world's wealth and pleasures. - Åp.18,4: "Go away from her, my people, lest you share in her sins, and not affected by her plagues." I later asked the Lord what he thought and thought about Vision Norway and Jan Hanvold. Then I got a clear and simple answer, it was the following: "Vision Norway is a spiritual pigsty!". I've been thinking about this what is actually meant by this. Let us consider some points. 1.) 1 Cor. 13. 2 And though I have the gift of prophecy, and understand all mysteries and all knowledge, and though I have all faith, so that I could remove mountains, but have not love, I am nothing. 3 And if I give away to feed all that I own, and though I give my body to be burned, but have not love, it profits me nothing. It does not help all that we do for Jesus (to God), but who we are (God knows the hearts and kidneys). There is a vast difference between doing and being. A robot can do much of the same as we humans do, but never to be a man. One can have all the faith or indeed burn and give his body, yet perish and experience God's judgment. Deeds savior never and never shows to the fullest who we are. That's who we are as a person that shows who we are and what we stand for. The difference here is many times huge! And that's when we ourselves must make the tough choices that go against our own flesh that really shows who we are, not in all the areas we "victories" and "master". Here Hanvold and Vision Norway fell through total when they bl. A permit remarriage over a low shoes and stands for the fanatical Faith Movement theory, and its preaching and theology! 2.) The church in Ephesus heard Jesus praise when they revealed such false apostles who today stands for the same as Jan Hanvold, Ulf Ekman, Åge Åleskjær et. Al. It is strange that the false apostles call themselves apostles for both today and 2000 years ago, this is probably not a coincidence but the same demons who served in the false apostles in days of old still works today. It makes me think of what happened during the AA Allen meetings in the US when he drove out demons by a religious and not pånyfødt person during a meeting. It was if I remember correctly that he had the same demons as Saul who later became Paul. Competent said that he had a legion ie say about 6000 demons. Wonder how many acting today among the false apostles, it's probably not get. Never be fooled by big smiles and eloquence, it was someone who could speak before he was saved then it was Paul. Hanvold and Vision Norway is under demonic influence, it looks on their demeanor, they undergo the truth always and they manipulate and wonder gullible believers. They are like the apostle Peter says trained. They are "good" to manipulate and use words, all to "spiritualize" their own carnal and selfish actions. That no more see it is because it is also spiritual powers of Satan is behind and they can blind. 2 Cor. 4. 4 In whom the god of this age has blinded the minds of unbelievers, lest the light of the gospel of the glory of Christ, who is the image of God, should shine unto them. 3.) A housewife \ husfar prepared a delicious stew of many good and tasty ingredients. But there was something she \ he had not been aware of. Among all the good ingredients were single poisonous mushrooms, which could neither be seen or tasted. It came poison in cauldron and everyone who ate the food was seriously ill or died. Parallel to this, Paul says: "Know ye not that a little leaven leavens the whole lump? Purge out therefore the old leaven, that ye may be a new lump. "1 Cor. 5, 6-7. The slightest sin, that we will not drop and do not ask for forgiveness and repent from it, will that leaven permeate our whole life with God and our peace with Jesus away. Are we not careful to avoid dropping anything unclean into our minds - evil thoughts, jealousy, selfishness, remarriage or strange doctrine, which does not agree with the Bible - then we will have "poison in the pot" and are spiritually sick. It is such preaching coming out from Vision Norway and Pastor Jan Hanvold works. There are of course some good, but anyway it's like a sourdough when Hanvold unclean and live in sin, doing heresy and Faith movement theology, is arrogant and self-centered, manipulative and covetous. Therefore I warn too strongly against him, his business and Vision Norway. When Hanvold live in sin and has been heresies in his theology and preaching, then it will permeate all that he stands for and do good things. 4.) Hanvold stands for Faith Movement preaching, it is strange and incomprehensible to me that this heresy as this is being almost totally ignored. Inclusive, NORMISJON cooperate with him Syvendags Adventists and Evangelisenteret and others. Are they completely anesthetized and understand nothing? The preachers who he invites, not least from the US are blatant Faith Movement of people and nobody notices it? To cooperate with Hanvold is opening up for demons and strange doctrine! 1 Tim. 4. 1. But by the spirit becomes clearly stated that in the latter times some shall depart from the faith, giving heed to seducing spirits and demonic teachings. 5.) Remarriage over a low shoes, like several others currently conducts such. Ex Evangelisenteret. It is of course bad with a breakup, for all parties involved. But those who do not want abilities and conformed their own house, they should never under any circumstances have a platform service, but withdraw and return. They should short and sweet three out of service. But with Vision Norway, it almost looks as if one must both accept everything here when Hanvold even live as one who has belly god of sexual conduct with being married and divorced several times, tragic! 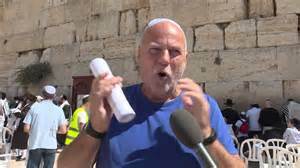 When will David Ostby and all others who gladly go in and work with such a spiritual crook and false prophet who Hanvold react and distance? Or have they been so blunted that everything goes through the cracks? I am embarrassed and appalled on their behalf as Arvid Bentsen and everyone else who cooperates with Hanvold, God must have compassion on them and they need to wake up before it's too late! 6.) Hanvold banner publicly on the air and it is accepted. I do not understand that Emanuel Minos, Norvald Yri and all others react against HANVOLD primitive and ugly phraseology, also publicly? I will not render everything I have heard him say, it is under a nadir. But think, swearing and could not speak normally and well Norwegian and all Christendom Norway accept this, directly or indirectly, this is a mystery to me. For me a person who curses one that is not level with themselves and God is the one who stands closest to him. 7.) Hanvold condemn others. I even heard Hanvold said several times the most extreme judge over all else except themselves. He, a mega crook and swindler, rises above all others. Who is this? ................ arguably it must be without that I can give him the diagnosis when I'm not a doctor, but to me he is and therefore I warn against him too. Edin Løvås wrote a book about power man in the church, when he hit the nail on the head. Once screamed Hanvold out on the airwaves here in Oslo on 107.7 the following: "To Hell with all who do not accept that I am re-married." Think we do not know which manipulative forces that are at work in some people we are dealing with? A wolf in sheep's clothing and manipulator you bet! 8.) HANVOLD Israel engagement and another is positive, but it is also where the biggest and most dangerous seduction lies. Had everything Hanvold accounted for only been negative, then it had not been difficult to expose him, even for Emanuel Minos? But when we look at the negative with Hanvold and Vision Norway, then we should all know that we are dealing with a false prophet as Jesus would get real end-time in a special way (Matt. 24.11). 9.) HANVOLD fundraising methods is and remains a lie and a crook worthy! This is manipulation, lies and really bondefangeri. Imagine, love for God when one gives and "wounds" to him shall God bless etc. God himself standing as far away from the channels it is possible, he even said to me that it was: "Vision Norway is a spiritual pigsty ! ». Then promise on behalf of God whatever God to give you more than what you give to him, then an ulcer in. It is and remains a mega lie and rogue stresses of the worst kind, how stupid and gullible one should be? The Pentecostal \ Charismatic seduction is a bigger and worse lie both a communist and deception! They deny God, but here there are some who claim that they are in God's place and give one to them, and he will bless them with abundance back, especially if one gives a larger amount and a fixed give large sums. Where Satanic and governed by his own flesh can be in "God" ?! 10.) Hanvold and Vision Norway steal from all other believers. By supporting Hanvold so supports one channel that is completely out of ground, which is like a big mega cash drain. When one hears the broadcasts as it concerns 'souls' salvation and money and again money. How can this be God? God says about himself that he owns all the silver and gold, should one then nag and beg and promise for God hour up and down about an hour the same? Is God stupid or he is not? It is clear that one can mention such things, but not this way. It is sick, sickening and manipulative, not anything else. 11.) Hanvold live super well on what he has built up and when he says that he does not get all wages from Vision Norway is to circumvent the truth. It is through the money he has taken out the Vision Norway and which he has invested elsewhere that he lives well even if the channel were to go under. He is no fool when it comes to money, women and power. Where supplies himself. Is this Christian and he has something to do with God? I only see a person standing behind the whole Vision Norway and Satan, no other! 12.) Remarriage among preachers is and remains a clear violation of God's word. Allowing gjengiftede Pastors, Apostles and others that ministers are playing Russian rolled. It can of course go well, but will sooner or later lead you into a wild goose chase! There are now so many gjengiftede preachers, that I fatter and do not understand that far more than me react to this, also known preachers both here in Norway, Scandinavia and or out in the world. As Peter Ljunggren, Ray McCauley + a bunch of others. They all live directly in rebellion against the Lord and His word. 13.) This lifestyle as a Christian seems obscene and offensive to "normal" people. Hanvold and many say that they work for the salvation of many, something I believe in. HANVOLD business and the way he presents the Christian message on, seems counterproductive. It is a major weakness that so many who have lived a life of drugs before they were saved going so fast up and forward in God's church, especially within its the Pentecostal \ Charismatic circles. We will be spiritually nourished and repaired before we go into a service for the Lord. Being preach is an office which one should be fit and capable set. 2 Tim. 2. 02 There you have heard of me among many witnesses, you must hand over to faithful men, to those who are worthy, and to teach others also. 14.) I will conclude with what God said to me regarding Vision Norway and Jan Hanvold, as I am the real truth about said channel, husband and business. I asked the Lord what he thought and thought about Vision Norway and Jan Hanvold. Then I got a clear and simple answer, it was the following: "Vision Norway is a spiritual pigsty!". Which I think is the right answer and how one should relate to such a business where an admittedly loves God but one love themselves and their desires higher? Scripture is clear. 2 Tim. 3. 01 This you should know: In the last days there shall come perilous times. 02 people will be own dear, covetous, boasters necks, proud, blasphemers, disobedient to parents, ungrateful and full of malice. 03 They shall be unloving, unforgiving, baktalerske, without self-control, and they will be violent and without love for what is good. 04 They are forrederske, rash, proud, and they should love their lusts higher than they love God. 05 They have an apparent godliness, but they reject its power. Although you should stay away from such as these. Scripture is clear, stay away from these. Stay away from Vision Norway, not encountered them financially, not set up on their broadcasts or in any way take part in their evil deeds so that you will not come under the same judgment, there is talk about your and others' salvation and to get drunk salary someday. 2. Joh. 10 If there come any unto you who does not bring this doctrine, you must not receive him into their houses, and not welcome him. 11 For he that biddeth him God takes part in his evil deeds. To support Pastor Jan Hanvold and Vision Norway is to support a wolf in sheep's clothing and will also get his "salary" and judgment! Or Satan has blinded your heart and your eyes so you do not abilities and want to see the truth? This I write here about should be easy to understand the basis of Scripture and its warnings, revealing Hanvold and Vision Norway's how I see it pretty obvious, right? 15.) Anyone who is born again should have clear and succeeded revealed and taken distance from this business as it is in God's word that my sheep hear my voice, Jesus said. Joh. e. 10 01 "This truth I tell you: He who does not go through the gate into sheepfolds but will get over in another place, is a thief and a robber. 02 He who enters through the gate is the shepherd of the sheep. 03 The gatekeeper opens the gate for even the sheep hear his voice, and he calls himself the sheep by name and leads them forward. 04 When he leads the sheep belonging to him, he goeth before them, and they follow him because they know his voice. 05 But a stranger they will not follow. They will flee from him, because they know not the voice of the stranger. " Hanvold is like a pig on the spiritual and moral area, all who come in contact with such unclean "animals" will be as impure as the animal by the law of Moses. How is it today also, when spiritually. 3. Genesis 11. And the swine, because it has cloven hoofs, and cloven hoofs, but it does not chew the cud, it is unclean to you. 8 Of their flesh shall ye not eat, and their carcase shall ye not touch; they are unclean to you. 43 Do not yourselves abominable by any such creep, and let yourselves unclean with them, that you become unclean. Beast (read Jan Hanvold) is unclean. And all who come in contact with swine, are unclean because swine are unclean! This taught the law of Moses, today we can eat pork when this was ideals and examples of the spiritual and moral that we currently live in and under. Refrain from such spiritual "swine" and you keep yourself clean and you will be preserved in Christ Jesus. 2 Tim. 2. 20 In a large house there are not only objects of gold and silver, but also of wood and clay. Some are used to high-value purposes, others unworthy. 21 But if anyone cleanses himself, he becomes a vehicle that is superior - sanctified and useful for its overlord and prepared for every good work. It is by itself away from such preachers and preaching, and stick to those who live in harmony with God and preach in accordance with God's word. That we are a guy and a believer in honor of our God and our Lord and Savior Jesus Christ! 17.) Some claim that it is I who is negative and controversial, but it is totally wrong to say something like that, there are those who claim that they are the word of God and preach something else entirely both his life and in his preaching than the Bible clearly says that's it. Also those who collaborate with such thus accounts for this. Christian people today have moved so much from God's word that it is scary, now target holy means instead that we be a people holy to God as the Bible urges. Rom. 16. 17 Now I beseech you, brethren, to be on guard against such creates split telecommunications among you and put stumbling blocks in the way of preaching you are opplærd in. Reject them! 18 Such as those slaves not the Lord Jesus Christ, but their own magemål. With smooth speech and flattery seduces the the ingenuous heart. 20 God of peace shall bruise Satan under their feet in hurry. Our Lord Jesus Christ's grace be with you! Amen. 22 I, Tertius, who have written down this note, greet you in the Lord. 23 Gaius, my host, who is the host of the whole church, sends his greetings. Erastus, bykassereren, greet you along with Quartus, a brother. 25 Blessed be the one who has managed to strengthen you through the message and my preaching about Jesus Christ from the revelation of the mystery which has been hidden from the earliest times, but that has now been revealed. 26 For through the prophets writings and timous commandments from God it is made known to all, for all nations shall come to obedience through faith. 27 Ham, the only show God glory in times - through Jesus Christ! Amen.